If you could make up an episode right now, what would be the title and what would it be about? Now, if I could write ANY episode of AtLA it would be called 'The Search for Ursa' and in it Zuko would leave Iroh in charge of the Fire Nation and go looking for his mother. 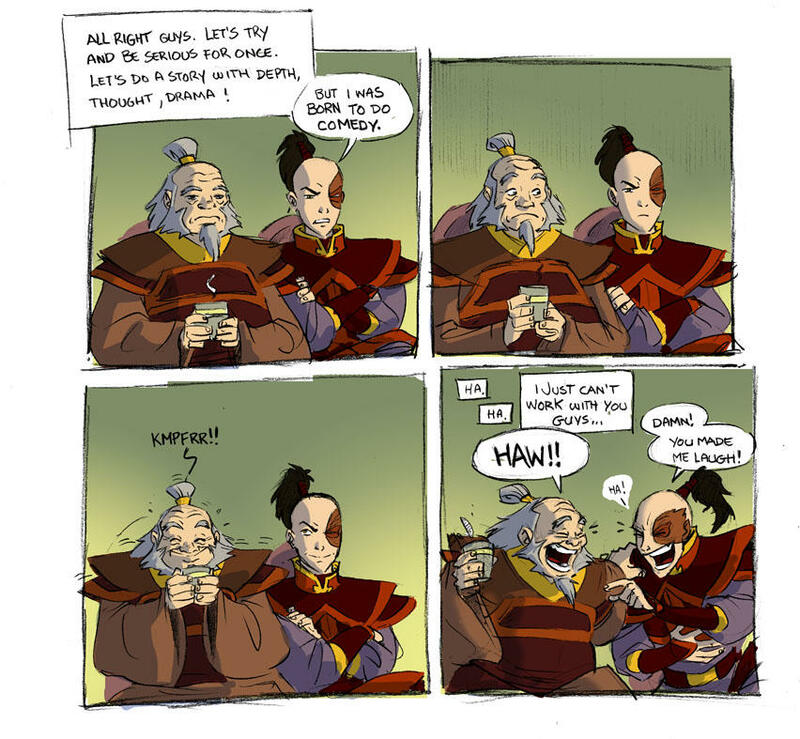 He would find her, have a touching reunion, find out what exactly made her banished, and then come back to find that Iroh had created an annual Tea and Music Night festival. Much implied off screen hilarity would then ensue. What about you? What episode would you write?